Reviews: Our professional staff reviews and evaluates each and every kneeling chair that hits the market. The team consists of two chiropractors, an orthopedist and and ergonomic design specialist. Together we have over 20 years experience in the field of posture and ergonomics. Research: As new designs come forward, we research their plausibility as an ergonomic solution and share our findings with you. Recommendations: We provide a list of the best kneeling chairs available and the links of where to find them at the most affordable prices around. We our an official affiliate of Amazon.com. We decided to partner with Amazon because of their excellent return policy, free shipping on most items, and first rate customer service. In addition, 99% of the time, Amazon will have the lowest price. 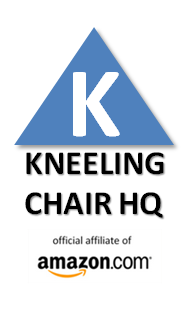 If you have any questions whatsoever, please do not hesitate to email us at info@kneelingchairhq.com or get in touch with us at our contact page.